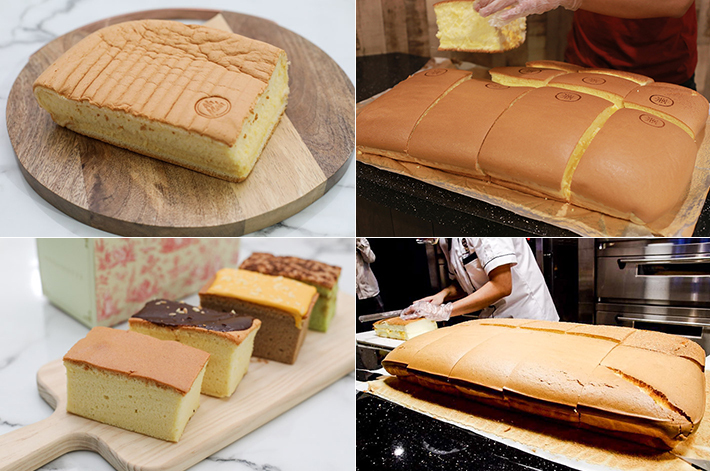 Castella Cake Taste Test - Which Is The Best Castella Cake In Singapore? Joining the local food scene three months after Le Castella opened in Singapore, Ah Mah Homemade Cake originated from Malaysia. They currently have two outlets in Singapore and you can find them at Bukit Panjang Plaza and VivoCity. Waiting time was about 1.5 hours on a weekday morning and each customer is limited to only two boxes and you can choose between two flavours—original and cheese. The taste is what we would expect of a Castella cake but there was no x-factor which particularly impressed us. In comparison, we prefer the original flavour as the cheese version was too light for our liking. Antoinette is among the most popular names in Singapore for sophisticated bakes and sweets. It has recently introduced a castella cake range that is nothing short of well received among Singaporeans. Apart from the default “original” flavour, Antoinette is out to win the game with interesting renditions; think Ondeh Ondeh, Earl Grey with Cheese and Nutella. There is a total of 6 flavours and the classic Antoinette Earl Grey is our pick—so fragrant in every bite. The Ondeh Ondeh flavour comes close, though it resembles a Pandan Cake more and we almost couldn’t taste the gula melaka. Le Castella is a popular brand in Taiwan. Famous for their rendition of the Japanese Castella cake that features a cheese flavour. It is no surprise that this version is well-received given the many hours that people are willing to queue for just to get their hands on these fluffy cakes. 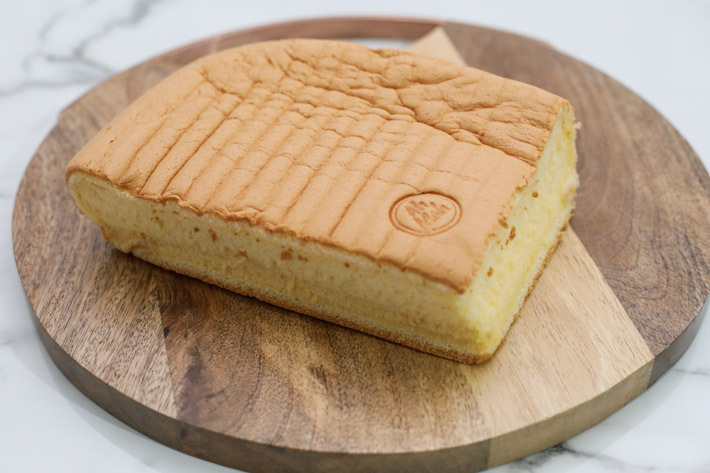 The Original Castella cake from Le Castella boasts a fluffy and moist texture that is further accentuated by a strong aroma of freshly cooked eggs. In terms of taste, we felt that it resembled that of a steamed egg cake you would typically find at dim sum restaurants—nothing spectacular. The Cheese version, on the other hand, fared much better. We liked that the thin layer of cheese gave it a nice hit of saltiness and richness. The sweetness of Le Castella’s cake is pretty mild and there really is not much flavour apart from the subtle taste of egg. If anything, this Castella cake did well texturally—it was truly the fluffiest cake out of the three Castella cakes listed in this guide. 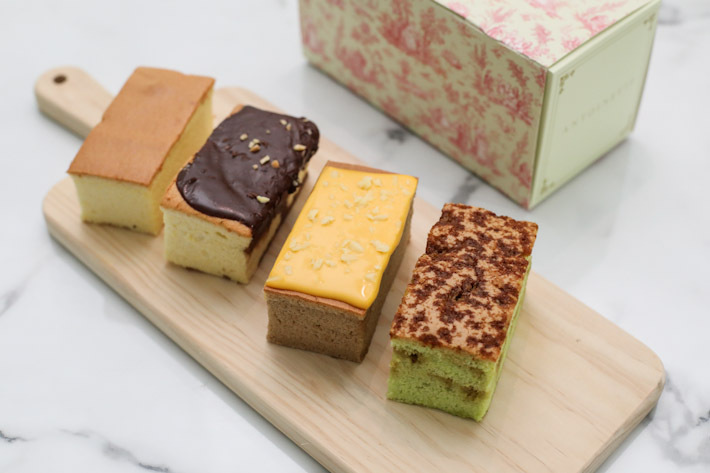 Original Cake is a well-known bakery from Taipei that specialises in Castella cakes. Other than the Original Castella Cake, they also have two other flavours—Golden Cheese and Frozen Chocolate. The Frozen Chocolate Castella Cake introduces HERSHEY’s dark semi-sweet baking chocolate chips in the mix. The end result is a decadent Castella cake that brims with chocolatey goodness. The use of dark chocolate also provides a depth of flavour without being overly sweet—which means health nuts can enjoy this treat as well! Overall, Le Castelle and Taiwan’s Original Cake edge out slightly in terms of the fluffiness of the cake. After all, a good Castella cake should be fluffy and jiggly. Antoinette’s Castella cakes have interesting flavours but they are not as fluffy as the other two Castella cakes. No matter which Castella cake you are trying, do eat it while it is still fresh and warm as this bouncy baked treat tends to deflate and become rather dry if left to sit for too long. 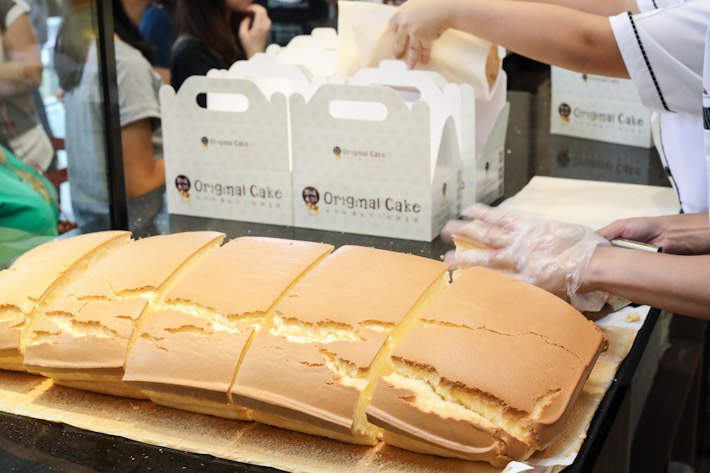 Would this be the start of a Castella cake trend in Singapore? Well, we wouldn’t be too surprised if other local players jump on the bandwagon to introduce their own versions of Castella cakes in the near future. May i know if this is halal?